Stunning nature, meeting and interacting with different people and cultures and much more inspires me to step out of my home and travel. Many people perceive that travelling is tough but having been on the road many times I know it's much easier than most of the people think. Many people do not realise that travelling is very rewarding; be it learning a new language, getting good at socialising skills, or solving a range of problems. Moreover, if you want to know about a culture or want to find out if that place is truly that amazing as it looks on that picture on your screen then the only way is to get there, after all, travel is the ultimate truth teller. I have been posting travel movie of the week on my Instagram, here is the list of My Favorite Hollywood Travel Movies to get you moved. I have also included the locations for each film to inspire you. My Favorite Travel Movies to Get You Moved. At times we are still in the doldrums while considering to travel or sometimes we just need a push to travel. 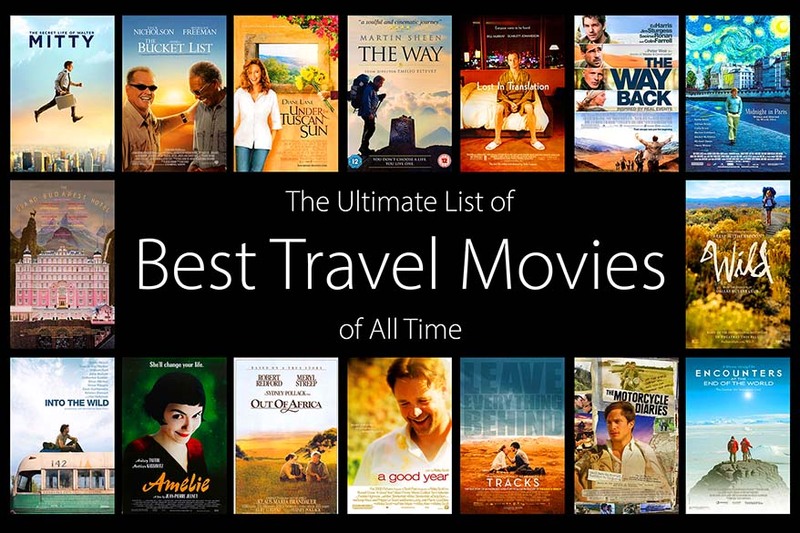 Here I am sharing with you my favourite travel movies list from Bollywood to get you moved. Check out my Travel Blog for more.